1972 « DON’T ROCK N ROLL NO! 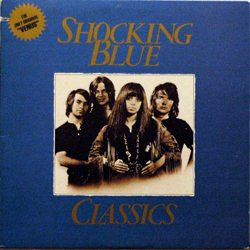 Published on January 20, 2008 in 70s, electronic and experimental. Closed Tags: 1972, experimental, novelty, spoken, strange. These are two exceprts from “Behavior Disorders and Therapy” the strangest disc in the 1972 Psychology Today 4LP set. Each side of this disc is only one band, but anywhere you drop the needle is golden. It’s almost as if they were trying to cause Behaviorial Disorders with this. The whole disc is thick with a strange FIresign-Theater-esque subversive sense of humor, and its cut-and-paste aesthetic has me longing for a time where people were willing to engage in a sort of impressionistic presentation of things. There’s no way you could recreate this in a Powerpoint slideshow. 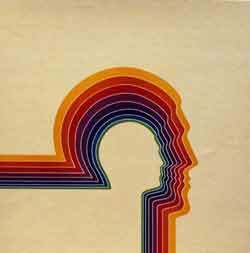 The other topics covered in the series are Memory and Problem Solving, Human Development, Learning, Perception, and Social Psychology. I’ll post more excerpts if there seems to be any interest. Published on December 15, 2007 in 70s, funk and single. Closed Tags: 1972, 45, funky, horns, instrumental, scratch. This one’s a bit of a dissonant squealer with a great mid-tempo beat and a sweet wah-wah breakdown. 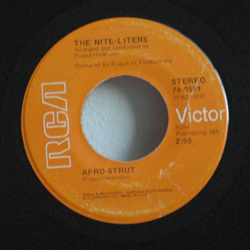 The Nite Liters put outa bunch of records in the early 70s, but eventually spun off into New Birth Inc., and had up to 17 members. You can find a best-of compilation at Amazon and some vinyl at Dusty Groove. Interestingly, Steve Keith, who seems to have played in another band called the Nite Liters, chimed in on a post over on Flea Market Funk. It’s cool to see the original artists getting into the fray on the mp3 blogs… it even happens here sometimes!